With the intention of creating a serene oasis for your next event while bringing Vietnam’s wonderful nature and charming countryside closer to your guests, Refine Asia would highly like to recommend a special venue that will leave your audience speechless despite its simplicity. 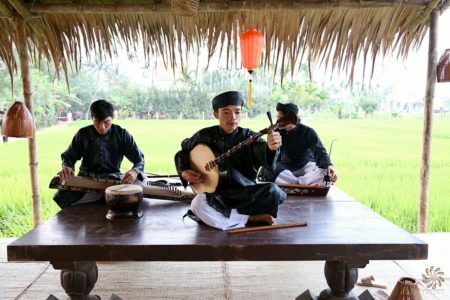 Get a sense of Vietnam’s village life, let the city stress behind you and spend an evening full of authentic impressions in a Rice Field in Hoi An! It is the perfect gateway after a long meeting day in Central Vietnam’s Metropolis Danang and easily accessible from most hotels within less than an hour. The rice field is an ideal location for groups of 80 – 400 pax and suitable for different types of events, like gala dinners, banquets, product presentations or teambuilding’s. Depending on the group size and requirements a bamboo house is built in the middle of the rice field in the countryside, next to the river. Besides the dining area in the bamboo house, a village market can be established, and both areas can be beautifully connected with bamboo bridges. Authentic local Vietnamese food will be freshly prepared and cooked in front of the guests on several cooking stalls set up in the market. 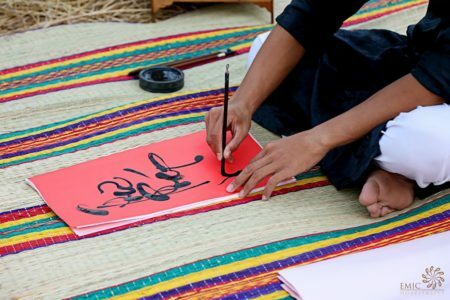 In addition to the culinary treats guests can engage in some traditional folk games and enjoy hands-on craft stations including pottery, calligraphy, conical hat weaving and lantern making. Various entertainment options can be added including a Lion dance, a traditional drum performance or a Vietnamese band. Moreover, there are many corporate branding options available that go as far as floating company logo on the river. When it’s time for your company to shine, a simple rice field can provide all the spectacle you need to set yourselves apart from your competitors. 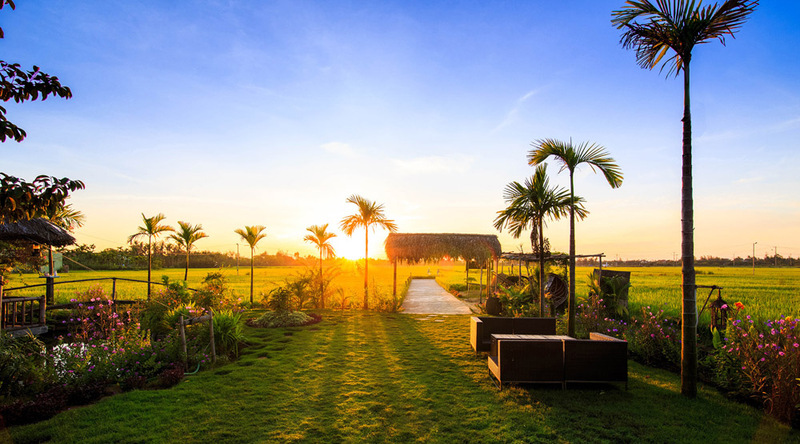 Let your next event sparkle against the gorgeous backdrop of Vietnam’s nature and feel free to contact us for further information via sales@refineasia.com. 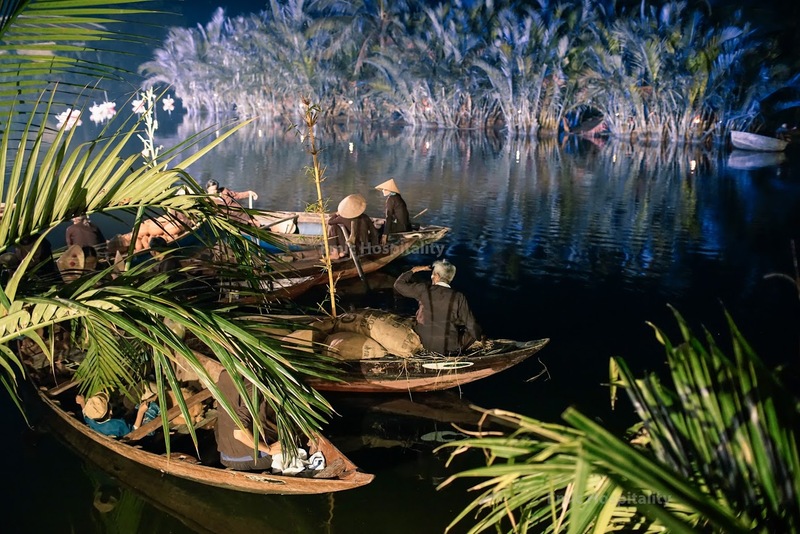 Pho – Vietnam’s elixir of life! Pho and Vietnam – this belongs together lke France and Croissants, Italy and Pizza or the Netherlands and cheese.